Note: You must be a Site Collection administrator on all of the Site Collections where you will be activating the Vizit features. Run the Vizit Solution Installer on a machine that does not have SharePoint installed. This will allow you to extract the solution file (WSP). When prompted, click "Yes" to extract the WSP file from the installer. Browse to a location where you would like the WSP extracted and click "OK". Transfer the solution file to a Web Front End in your farm or your SharePoint standalone server. In a command prompt, navigate to the SharePoint root directory. Typically, this is C:\Program Files\Common Files\Microsoft Shared\Web Server Extensions\14. The last directory in the path above would be "12" for SharePoint 2007. Navigate to the to the "bin" directory in the SharePoint root in the command prompt. You must type the path to the solution file in the command above. Deploy the solution via Solution Management in Central Administration. In 2010, Solution Management is located in "Manage farm solutions" under "Farm Management" of the "System Settings" section in Central Administration. In 2007, Solution Management is located in "Solution Management" under "Global Configuration" of the "Operations" tab in Central Administration. 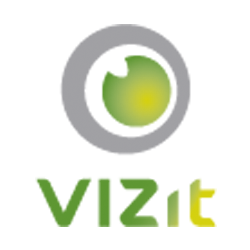 Activate the Vizit features you will be using in the Site Collections of Web Applications where Vizit was deployed.